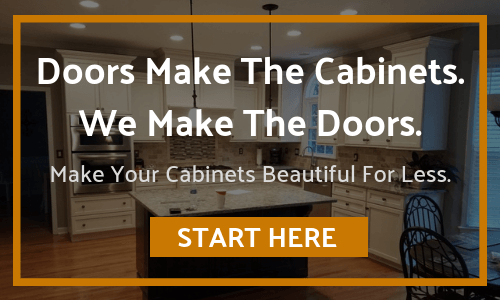 We would like to show you how our unfinished cabinet doors and unfinished drawer fronts are handcrafted in our Hickory, NC, manufacturing facility. All of our cabinet doors and drawer fronts (except for solid slab) are made from 5 pieces – A center panel, left and right stiles, and top and bottom rails. All stiles and rails are 0.75" thick. All center panels are solid wood (except MDF) from the wood type you select.The center panel on MDF doors are 0.75” thick, but are made with the MDF material. Please call us at 1-877-929-2750 if you have any questions.